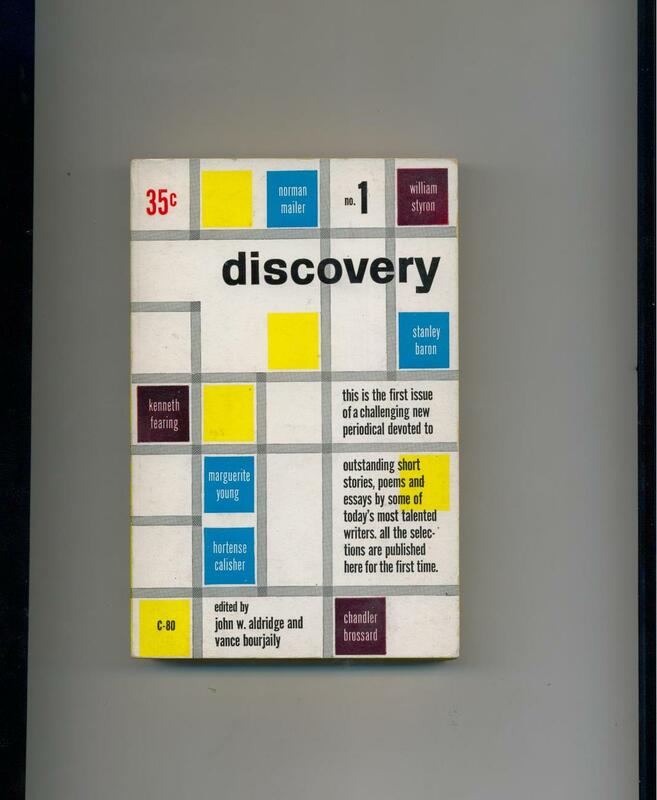 DISCOVERY #1, edited by John W. Aldridge and Vance Bourjaily Cardinal Edition (Pocket Books), 1952 First Printing Condition: Very Good to Near Fine This was the first issue of a periodical in paperback book format featuring never-before-published fiction, poems and essays by 18 writers. Notable are "The Dead Gook", a short story by Norman Mailer, and "Long March", a novella by William Styron. Some modest corner wear and tanned pages, otherwise a solid, unmarked copy.